Ms Kaur - a nurse in NSW and her husband have been given a second chance to stay in Australia as it was deemed to be in the 'public interest' to grant her a visa. Her visa application was earlier refused due to a fraudulent document. An Indian nurse whose application for a permanent visa was refused over the use of a fraudulent document has been granted a second chance as her stay in Australia was deemed to be in the ‘public interest’. Ms Kaur*, a registered nurse with the NSW Health Department had her February 2016 application for a permanent visa refused after the Department of Home Affairs investigated the case following information by “anonymous sources” alleging that her husband, Mr Singh*, had committed identity fraud besides having a criminal record overseas and was involved in serious criminal misconduct in Australia. It was also alleged that he had travelled to Australia using a false passport. The Department of Home Affairs alleged that the Punjab School Education Board matriculation (class 10) school certificate of Mr Singh was obtained fraudulently and possibly used to obtain a passport with a different name in India to forge a new identity. The Department’s officers in India found that the roll number mentioned on the certificate did not exist in the records of the school that purportedly issued it. When the Department invited Mr Singh to comment on this information, he said he was not good at studies and was enrolled at a private tutoring college for his year ten and completed the annual examination there when he was 14. He said his father lived overseas and his mother did not realise that the certificate issued by the college was not genuine as she isn’t educated. Mr Singh denied the certificate had been used to get his Indian passport which was also substantiated by documents supplied by the Consulate General of India. He also denied all the allegations of criminal activity in Australia and overseas and produced a clean police clearance certificate. However, when the appeal against the visa refusal was heard at the Administrative Appeals Tribunal, Mr Singh told the tribunal member that he dropped out of school in year eight and did not attend the private tutoring college for year ten. He said if he knew the certificate was false he wouldn’t have supplied it with the application as it served no purpose. Though the tribunal was satisfied that Mr’s Singh’s identity was genuine and that he did not have any criminal record, it had to weigh whether supplying a false matriculation certificate merited refusal of visa in his case. Providing false document or information can invoke what’s called Public Interest Criteria (PIC) 4020 under the Migration law, that may see an applicant banned from applying for a visa for up to 10 years if identity fraud is detected. “The argument that you did not intend to provide a bogus document to the Department and that you did so unknowingly is no excuse and provides no basis for seeking relief from the very fatal consequences of not meeting pic 4020 criteria,” the couple’s lawyer Nilesh Nandan told SBS Punjabi. The visa application of a 29-year-old Indian national was refused because he had admitted to causing hurt to his 3-month-old son. But the Tribunal has now found he had lied in order to prevent his son from being taken away. Though the tribunal found that Mr Singh did not meet the Public Interest Criteria 4020 because of the false certificate, it concluded that there were “compelling circumstances affecting the interest of Australia” that justify granting of the visa to the couple. AAT Member R. Skaros said it wasn’t a case where the employer will merely be disadvantaged if it loses the employment of Ms Kaur, but it involves “a broader public interest” as her absence would increase pressure on public hospitals. The tribunal ordered the Department of Home Affairs to reconsider the visa application. The woman's story is one of many other abandoned brides in India who are left behind by their non-resident Indian husbands. Now in Australia to look out for her husband, she is determined to spread the word about her ordeal to caution other women. Mr Nandan says it’s not common for cases involving false documents to succeed on the grounds of compelling circumstances affecting the interests of Australia. “'Compelling circumstances affecting the interests of Australia' is a very high bar set by legislation. The immigration cases infected with bogus documents but which still meet PIC 4020 because of interests of Australia are few and far between. This case was one of the rare ones,” he said. 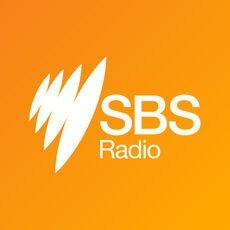 “I'm confident that with the bogus document issue put to one side, that the couple can now be reasonably confident that skilled migration visas will be granted by the Department in this case,” Mr Nandan told SBS Punjabi.